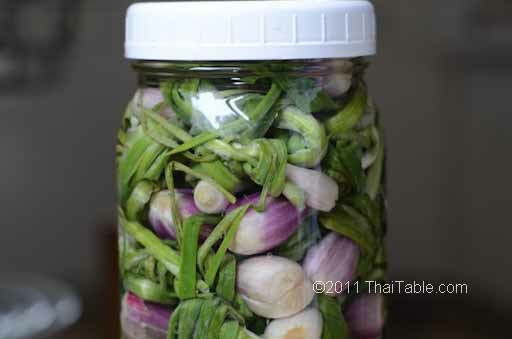 Upon spotting the red scallions at my local farmers’ market, I immediately thought of my grandmother's pickled scallions. 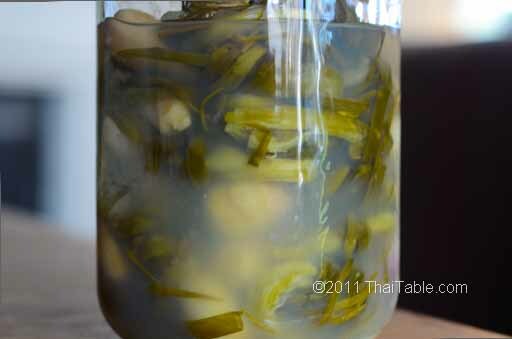 The pickled red scallions are sour with a hint of salt. 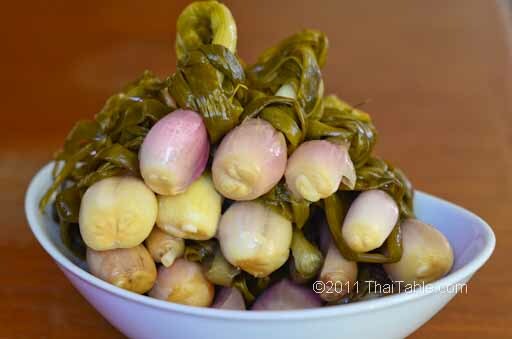 Rich curries like masaman curry, gang gari and panang taste better when the richness of the curry is juxtaposed with sour pickled red scallions. Hot spicy chili sauce like mackerel with chili sauce, is more homey with pickled red scallions. Wash and trim the roots from the red scallions. Let them sit at room temperature or in the sun to wilt so that you can tide the leaves together. When they are wilted, wrap the green leaves around your fingers and make a knot to keep all the leaves together. 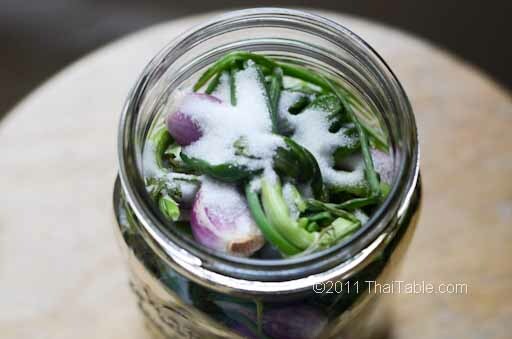 Pack your sterilized jar with the red scallions. Add sugar and salt. Then add the water until it covers the top. 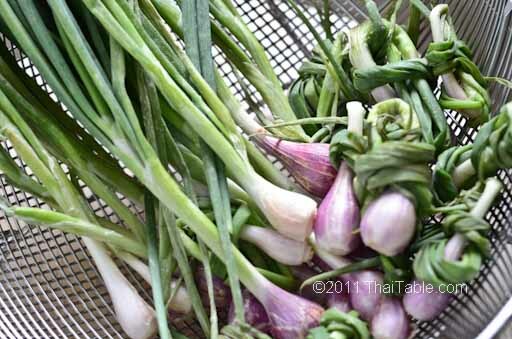 Place a small bowl to keep the red scallions under water. Anything above water can go bad. Leave some room at the top for bubbles, preventing overflowing while fermenting. Keep at room temperature. The red scallions are ready at 2 weeks at approximately 70 degrees room temperature. It may require less time in higher room temperature. The solution will get cloudy and you may see sediment on the bottom of the jar. 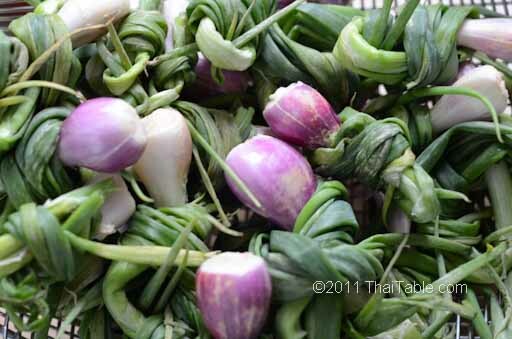 When they are ready, the red scallion bulbs are pale pink to yellowish and the green leaves are now yellowish green. Take a taste. They should be sour.